Here’s one of the latest cars we set up over at the Nitrous Garage. This time we fitted a brand new 2014 Porsche Cayman with a set of 20″ Ruger Mesh Wheels in matte black wrapped in Continental DWS Tires. 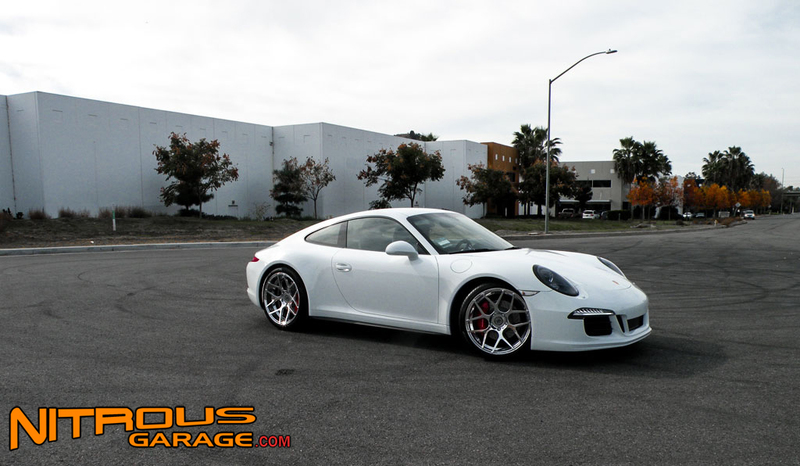 We just got finished with this gorgeous brand new Carrera 4S. This vehicle had less than 200 miles on it when it came by the shop to get some 20″ Rennen Forged RL-M6 Wheels installed. 20×8.5 Front, 20×12 rear! The customer wanted a polished finish so we got him just that, and finished them off with a clear coat to protect the finish as polished wheels will tarnish over time without a clearcoat. 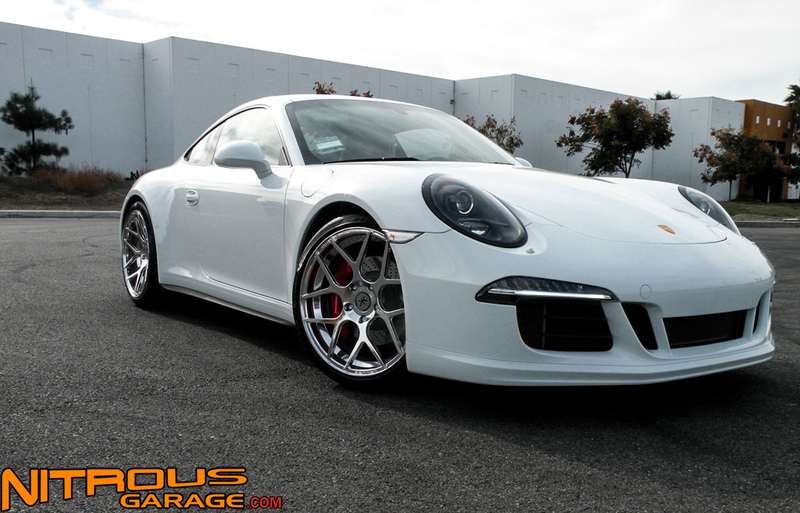 Trust Nitrousgarage as your go-to place when you need the perfect wheels for your ride! (909) 869-5681. Just did some work on a Porsche Carrera Turbo S. This car is rather unique in that it has upgraded turbos, full exhaust and other supporting mods allowing for a power output in the range of 700hp. 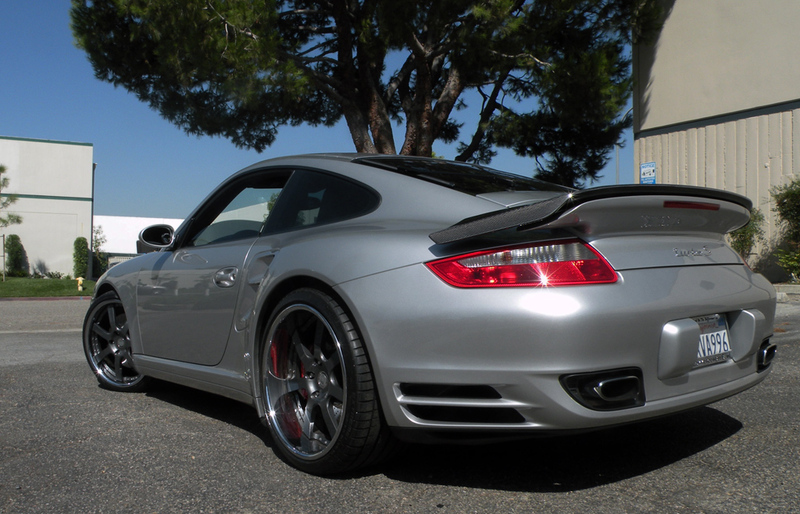 Visually this Porsche Turbo isn’t stock either. It has DPE 3 piece wheels, Carbon Fiber front lip, carbon fiber rear spoiler and other misc. interior carbon pieces. 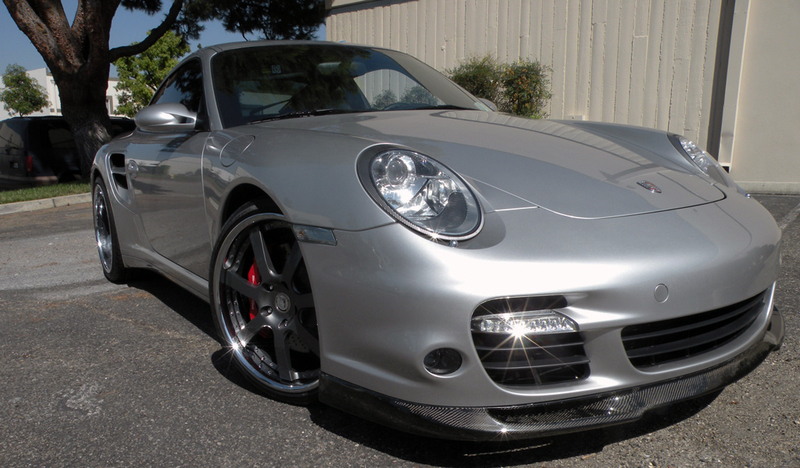 Need help putting wheels on your Porsche? Give us a call we’ve seen and done it all! Here are some pictures of the new Porsche Carrera S. This is one sweet car, made even sweeter with the set of 19″ TSW Nurburgring Wheels in gunmetal. These wheels weigh less than 22Lbs a piece which translates into gains in acceleration, cornering, and braking. If you didn’t know, removing 1 pound from the wheel and tire of a vehicle is equal to removing 10Lbs of static weight from the car. So huge gains can be had from going with a lightweight wheel such as the TSW Nurburgring.